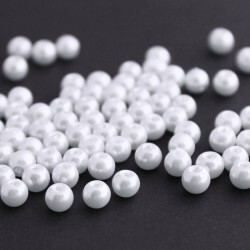 Pack of 100 lovely 6mm bright white glass faux pearls, suitable for a variety of projects! 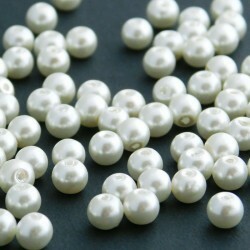 Please note that these are a lighter colour than our 10mm white glass pearls. Lovely 6mm ivory glass faux pearls, in a great value pack of 100 beads. 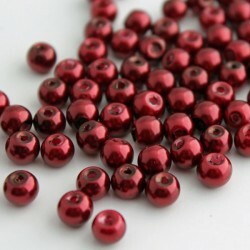 Packof 100 lovely Burgundy Red faux pearl glass beads, perfect for Christmas projects! Pack of 100. 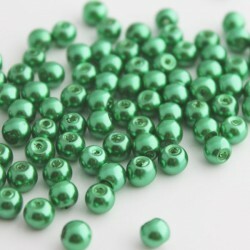 These lovely Green faux pearl glass beads would be perfect for a Christmas project! Pack of 100. 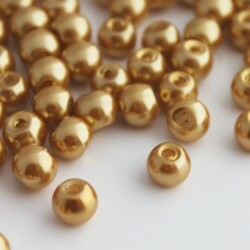 These lovely Light Gold colour faux pearl glass beads would be perfect for a Christmas project! 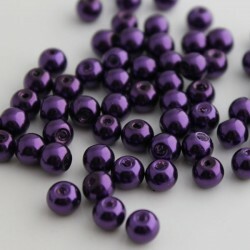 Pack of 100 lovely dark purple value faux pearl glass beads, perfect for a Christmas project! Pack of 100. 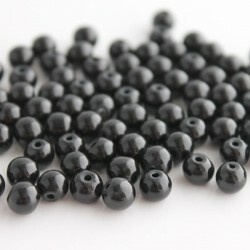 These lovely black coloured faux pearl glass beads would be ideal for a variety of projects! Pack of 100. 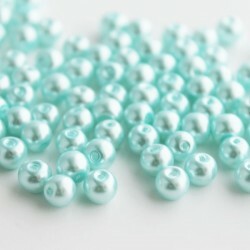 These pretty pale blue coloured faux pearl glass beads would be perfect for a variety of projects! 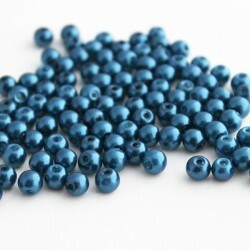 Pack of 100 nice dark blue coloured 6mm great value glass pearls. 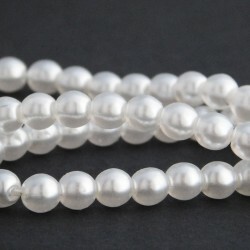 Strand containing 75 pretty, 6mm, white Czech glass pearl beads. Great quality and perfect for any jewellery making project. Choice of pack sizes - pack of 100 beads or pack containing one 78cm strand (approx 145 beads). These stunning magenta coloured faux pearl glass beads would look great in a variety of projects! 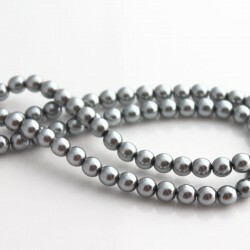 Strand of 75 pretty 6mm silver coloured Czech glass pearl beads, great quality, perfect for any jewellery making project. These pretty 6mm pink blush coloured Czech glass pearl beads are great quality, perfect for any jewellery making project. Each strand contains 75 beads. These pretty 6mm brown Czech glass pearl beads are great quality, perfect for any jewellery making project. Each strand contains 75 beads. 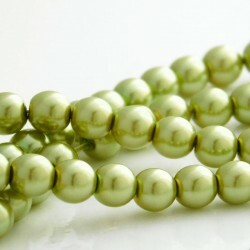 These pretty 6mm olive green Czech glass pearl beads are great quality, perfect for any jewellery making project. Each strand contains 75 beads.